The Prankster has received a schoolboy letter before claim for a defamation action. The letter purports to come from Paul Fitton of McHale and Co Solicitors on behalf of Gladstones Solicitors, the IPC, Will Hurley and John Davies. The Prankster receives a number of communications from fools and charlatans every day, and this particular letter was both shoddy and badly worded. In The Prankster's opinion it did not appear to be the work of a real solicitor - or at least a competent solicitor. The Prankster therefore took the precaution of contacting both Mr McHale and Gladstones Solicitors to check whether the letter was genuine. Neither have responded at the time of blogging, despite the letters being posted in April. The Prankster was also at the BPA parking summit with Will Hurley and John Davies, where neither of them mentioned the matter to him. The Prankster can therefore only assume that the letter is a forgery. 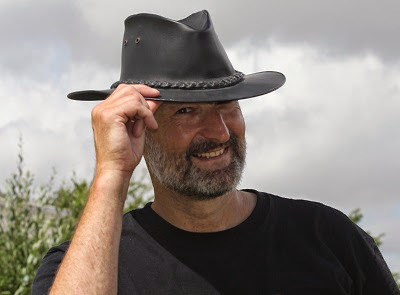 The letter is reproduced here for blog readers to make up their own mind. The blog is question is this one. If Paul Fitton wants to contact the Prankster to see who has been besmirching his good name, and making him look like an idiot, then The Prankster would be happy to co-operate. McHale and Co have a valid address for service which The Prankster provided. If, on the other hand, the letter was genuine, then The Prankster questions why Paul Fitton has not replied, despite The Prankster contacting him 3 times (1 March, 10 March, 17 March) and Andrew McHale has not replied despite The Prankster contacting him on 16 April. If this is the normal standard of behaviour of McHale and Co then The Prankster would warn all prospective clients to steer well clear of this firm. 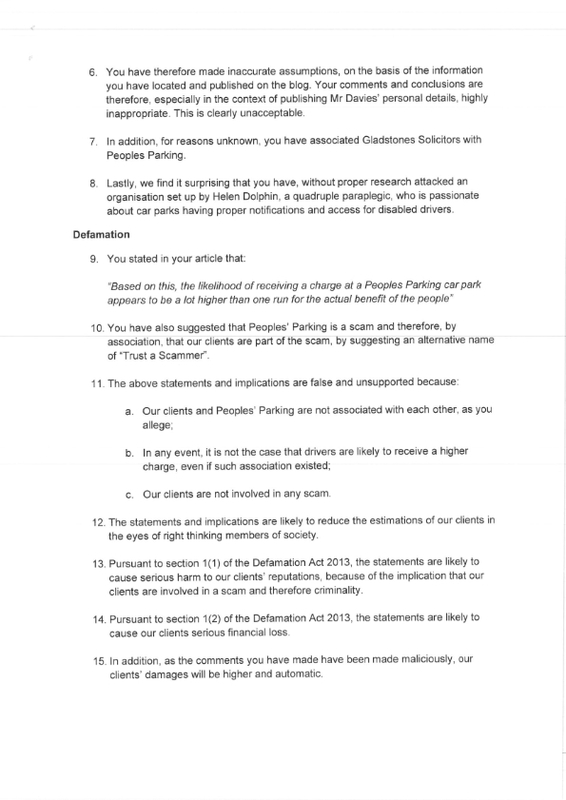 Gladstones also did not reply to The Prankster's letter of 16 April but this is apparently their normal business practice when motorists contact them so there is no surprise there. The Prankster has been informed by motorists many times that they have been stonewalled by Gladstones when attempting to find information. The Prankster would have to question why a legal firm would post a letter on the 29th February stating that they would have no alternative but to seek an injunction at 4pm on the 1st March. As the letter would not even have been delivered by that time this was obviously an empty threat, and as an injunction still has not been sought in June, Paul Fitton's various clients did obviously find an alternative, which was...not to seek an injunction and not to reply to any of The Prankster's communications. In The Prankster's opinion this makes Will Hurley and John Davies look a little foolish. 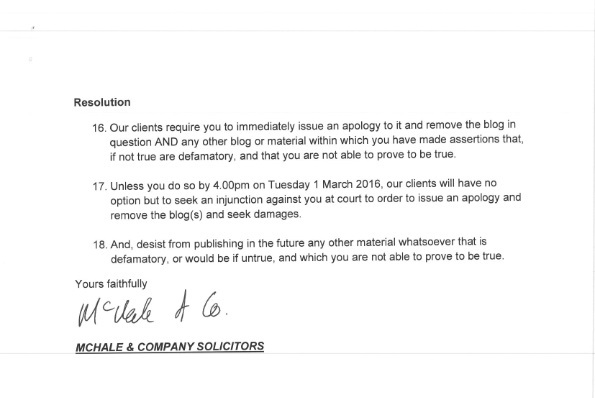 If however any real solicitors want to get in touch with The Prankster and confirm that it is normal legal behaviour to do this sort of thing The Prankster would be happy to publish a clarification. An absolute defence to defamation is that statements are true. It is probably best therefore not to undermine your own case by confirming for your main point of contention. A quick check reveals that the domain was registered by one John Davies of Gladstones Solicitors. 5. For the avoidance of doubt, our clients assisted in the establishment of Peoples' Parking by way of providing IT service to build its website and registering its domain name. 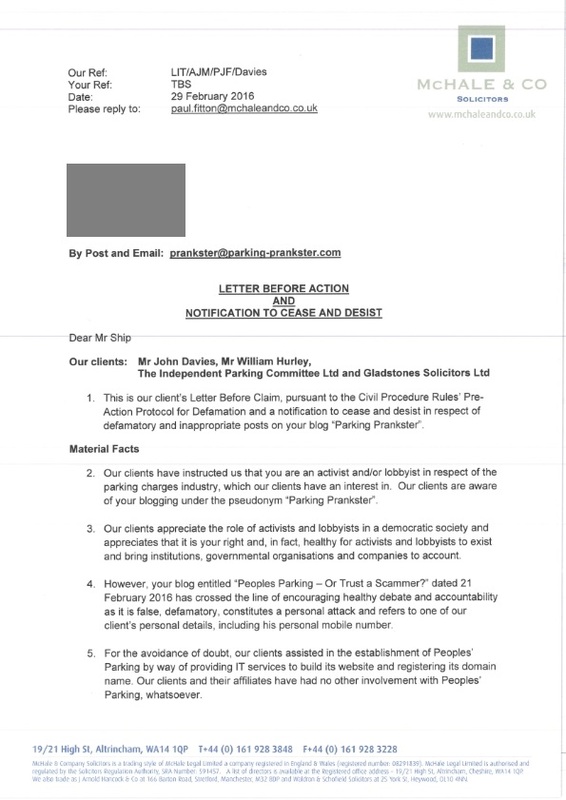 So, The Prankster claims that John Davis of Gladstones Solicitors registered the domain; Paul Fitton confirms this is true, and then alleges this is defamatory. It is clear then, that if the letter was 'genuine' that it is nothing more than a malicious attempt to trick The Prankster into paying legal fees to defend a vexatious claim. As nobody has replied to The Prankster's various communications it is obvious that there was no real intent behind the letter. The last time The Prankster was threatened with a defamation action it was by Hill Dickinson. That ended with Katie Mickleburgh of Hill Dickenson looking rather foolish. Currently The Prankster is waiting for the next communication from Paul Fitton to see whether the letter is genuine, and if so is considering whether to refer Mr Fitton to the reply given in Arkell v Pressdram. what a bunch of losers. Arkell v Pressdram seems the only appropriate response. They clearly hadn't looked back through the Pranksters blogs and read up on the correspondence with Hill Dickenson. "12. The statements and implications are likely to reduce the estimations of our clients in the eyes of right thinking members of society." LOL ROFL fnar fnar chortle chortle wheeze. That's not a genuine estimation of loss, surely. I'm guessing that's the only subject The Prankster has been pulled up on so Messers Hurley and Davies must be content with the IAS being a kangaroo court and Gladstones being as useful as a side-stand on a trike. Why oh why oh why did we take the offence of barratry off the books? Who is McHale and Co? A company can't sign a document. Such a simple thing that they get wrong. Partners at a solicitor firm signing a letter with the company name is actually fairly standard practice. If there is no association between the IPC/Hurley & Davies and Peoples Parking then why is the Peoples Parking logo so prominently displayed on the IPC's website?